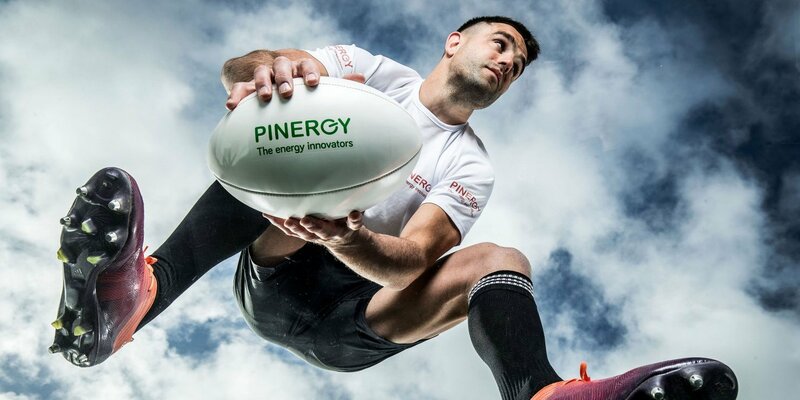 Today, PINERGY, the official energy partner to Munster Rugby, teamed up with its brand ambassador Conor Murray to announce that Munster Rugby’s home stadiums, Thomond Park and Irish Independent Park, will now be powered with electricity from fully renewable energy sources. PINERGY will now provide 100 percent of its electricity from renewable energy sources including wind, solar and wave power which means the stadiums will be reducing their annual carbon footprint from electricity to zero. The development positions PINERGY as Ireland’s first and only specialist smart energy provider to now fully supply all of its electricity to its customers from renewable sources. PINERGY’s move to renewable energy enables Munster’s Red Army to go green in the second season of the innovative #WeAre16 campaign. This season, #WeAre16 has seen the Fan of the Match competition at all Munster home games, continuing to recognise the energy determination and passion of Munster Rugby fans with the 16-match jersey presented to the Fan of the Match by a Munster player at the end of every home game. This season PINERGY also teamed up with Munster Rugby to create The PINERGY POWER PLAYER which is chosen for every Munster game based on the analytics from that game. PINERGY are the proud sponsor of the analytics and performance equipment used by Munster Rugby. The PINERGY POWER PLAYER is awarded at the end of every Munster game and is revealed across the PINERGY social channels. PINERGY is also a proud supporter of the Munster Rugby Supporters Club Choir, the first provincial rugby choir of its kind. This latest move by PINERGY to 100 percent renewable energy marks another important step in helping to reduce Ireland’s carbon footprint and will contribute significantly in supporting PINERGY’s business and residential customers to play their role in creating a sustainable energy future.